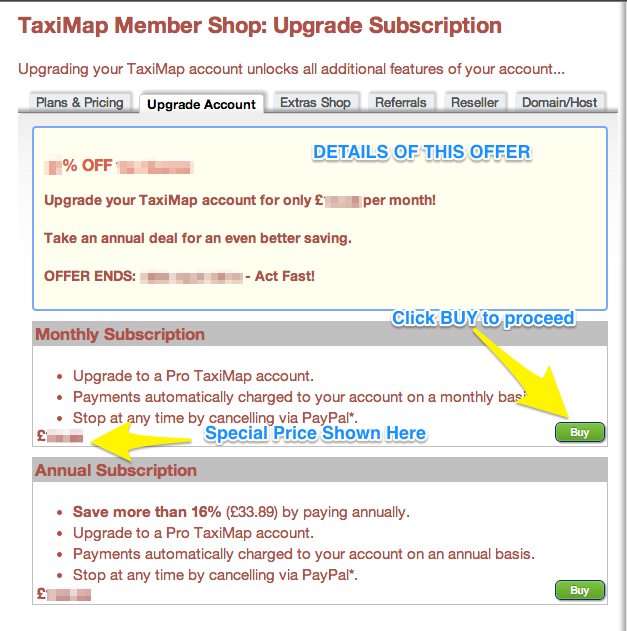 Occasionally we offer special discounts and promotions. 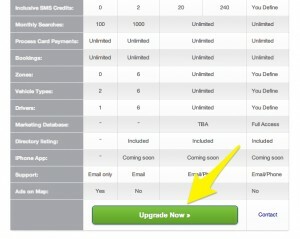 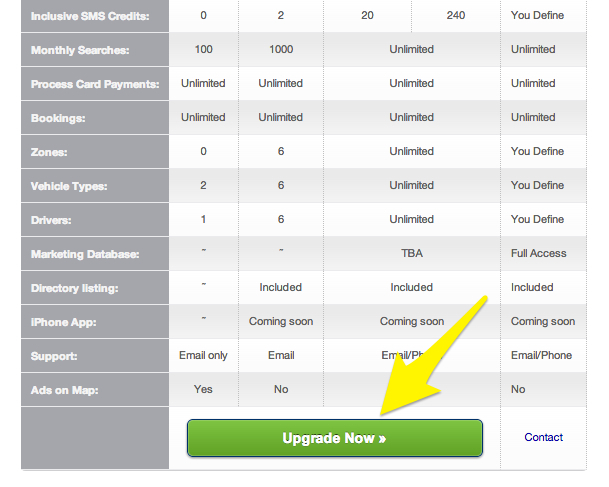 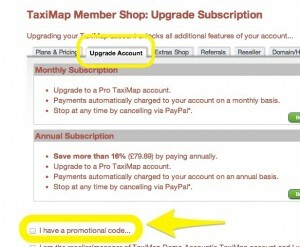 These are often in the form of a promotional code that needs to be entered when upgrading your TaxiMap account. 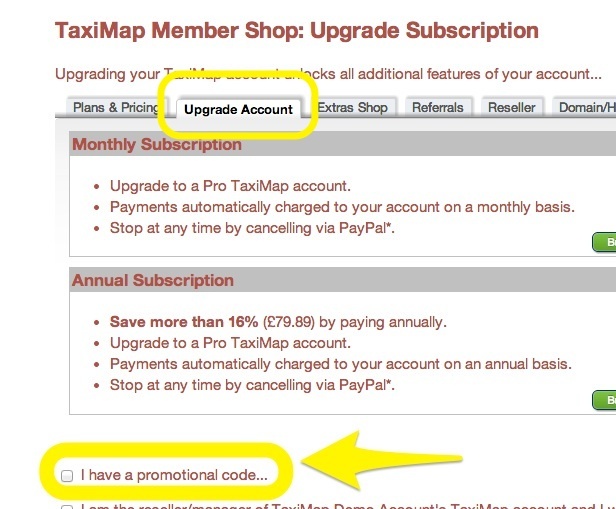 Promo codes are sent out to members with email and are sometimes available in our social media streams such as Facebook and Twitter. 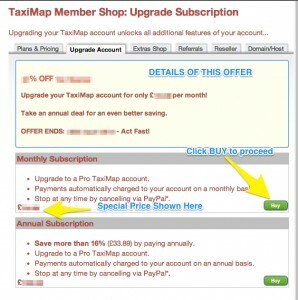 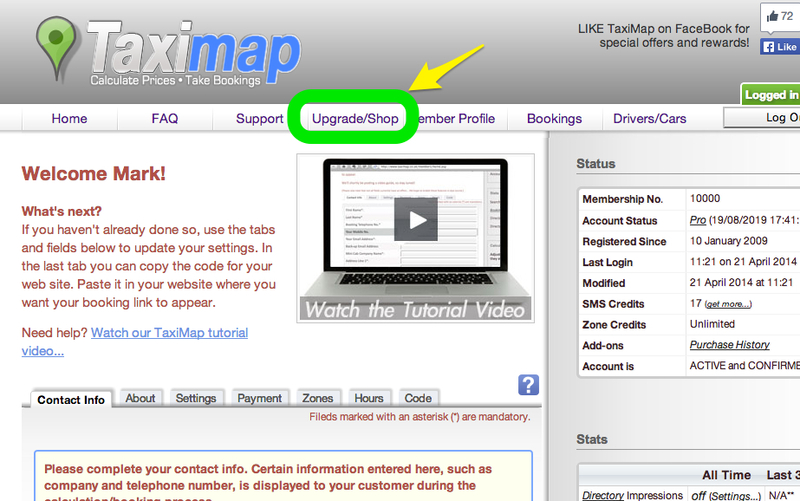 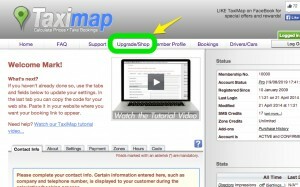 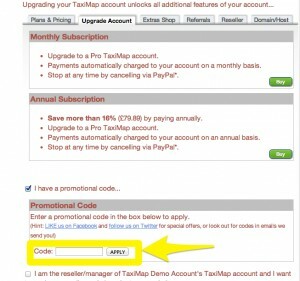 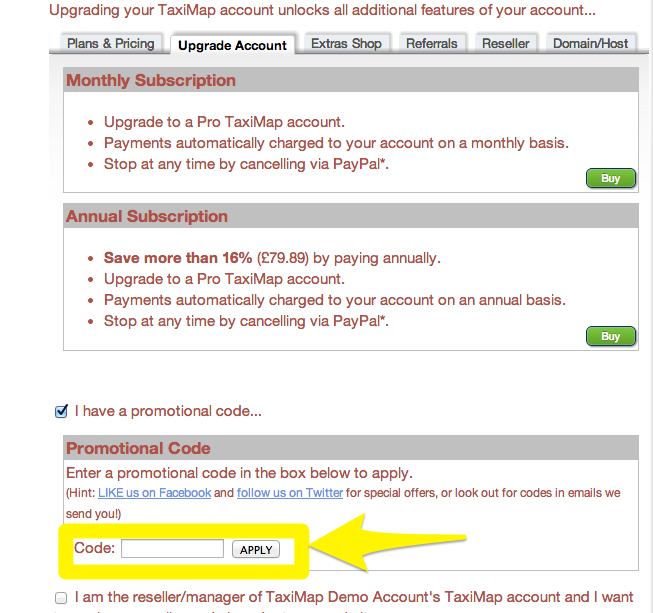 Here’s how to apply a promo code to your TaxiMap account.